Mike Vrabel, coach, Tennessee. 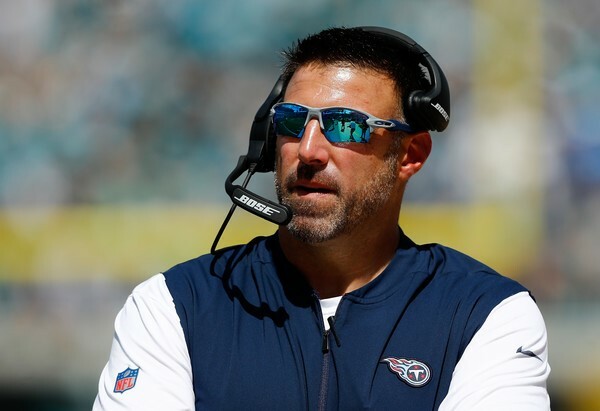 The Titans have gone bold this season because Vrabel likes to play that way. From the cool fake-punt touchdown throw by safety Kevin Byard in Week 2 to the gut-feeling go-for-it on fourth-and-two in overtime against the Super Bowl champs Sunday, he’s fine with putting his developing rep on the line—and he told me it’s largely because his players love it, and he thinks it makes for a tighter team, all pulling together. Whatever it is, the Titans have beaten two of the NFL’s final four teams from 2017—Jacksonville and Philadelphia—in the last eight days, and they’re 3-1 with the tiebreaker edge in the AFC South after a quarter of the season. Sean McVay, coach, Los Angeles Rams. When McVay got to southern California 20 months ago, job one was fixing quarterback Jared Goff, who had a lousy rookie year that left his confidence shaken. Since then, Goff has rebuilt his mechanics and footwork and confidence, and he has been one of the game’s most efficient, explosive quarterbacks. The five-TD master-show by Goff in the win over the Vikings reinforced all the work McVay has done with him. Wrote Sam Farmer of the Los Angeles Times post-game: “[McVay] is the quintessential Goffensive coordinator, drawing up plays that allow his third-year quarterback to pick apart opponents with surgical precision.” True.